Can you ever trust a monster? See the clash of these monster titans as they vie for their own curse lifting cure where loyalty and friendship seem to vanish! Download FrightFest: Dracula vs Frankenstein vs The Mummy. During a heavy storm, Dracula, Frankenstein and The Mummy have broken out of Arkatem monster asylum and are making their escape. They plan to find Transylvanian Gypsy, Romona who an inmate said will be able to lift their curses. 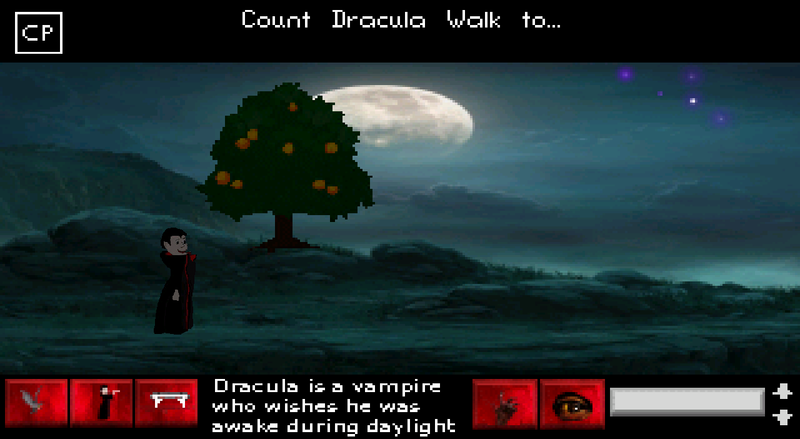 Of course, three is a crowd so you must decide who you wish to help get his curse lifted. 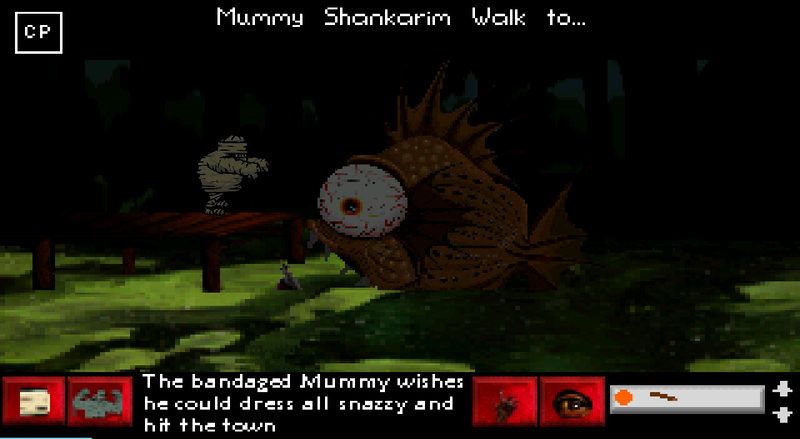 The Mummy comfronted by a Piranhadon... a prehistoric nightmare! 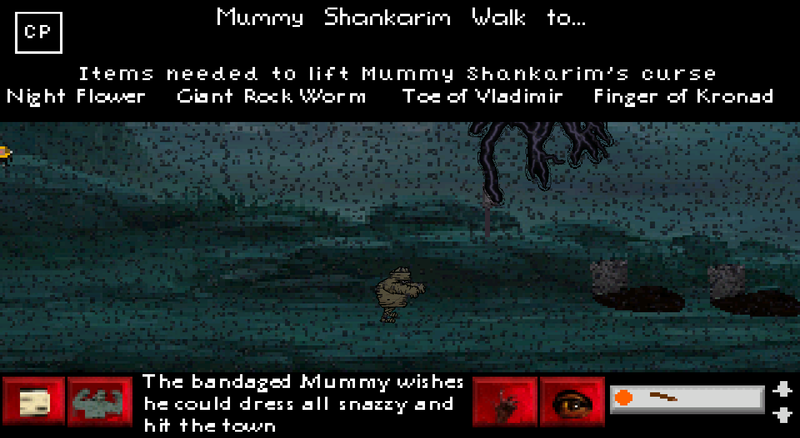 The Mummy looking for items he needs to lift his curse in the land of the evil dead! Speech Font: Slightly larger due to some other games having speech fonts I can't see very well.